Editor’s note: This is a guest blog post by Margherita Berti, a doctoral student in Second Language Acquisition and Teaching (SLAT) at the University of Arizona, and the creator of the open educational resource website Italian Open Education. As the awareness about open educational resources, tools, and practices increases, instructors, researchers, and educational technologists are exploring innovative ways to promote language education. This is especially the case for Italian Open Education, a website that offers a collection of openly-licensed and free-to-use 360-degree virtual reality videos for Italian learners and teachers. As a researcher and language educator, I chose to develop Italian Open Education to support the Open Education Movement and to supplement current foreign language textbooks with innovative and dynamic pedagogical materials. Today’s technological advances have made virtual reality extremely accessible, allowing language learners to be immersed in three-dimensional and seemingly real environments generated by the use of special electronic equipment (e.g., smartphones, viewers, headsets, etc.). To create such resources, I first recorded 360-degree videos in Italian locations that represent everyday environments which students might encounter, however not critically reflect on, in the language textbook. Some examples include a plaza, a street, a coffee shop, a restaurant, a mall, etc. (permission to record the videos was granted by owners of inside spaces). After the recordings took place, I uploaded the videos to YouTube and licensed them under a Creative Commons Attribution-NonCommercial-ShareAlike 3.0 license. The Italian Open Education platform was then developed on WordPress, where all the 360-degree virtual reality videos are gathered and can be used freely. The objective of this project is to offer new cutting-edge pedagogical resources which allow Italian language learners to be virtually placed in various Italian settings that might be inaccessible due to financial or geographical constraints. Since most students are not able to study abroad, the use of openly-licensed 360-degree virtual reality videos in the language classroom gives learners equal access to authentic environments representing the target country. By sharing free-to-use, high-quality and innovative pedagogical materials with teachers and learners, I advocate for the Open Education Movement and aim to encourage administrators and language educators to implement new and dynamic open educational resources in their own language classrooms. Margherita Berti is a doctoral student in Second Language Acquisition and Teaching (SLAT) at the University of Arizona and holds a master’s degree in Linguistics/Teaching English as a Second Language from Indiana State University. She teaches undergraduate Italian courses and has over three years of experience in language teaching at the university level in Italian, Spanish and ESL. Her research specialization resides at the intersection of intercultural competence, educational technology, and curriculum and L2 content development.. When we talk about the importance of open content, there are a few clear advantages that are consistently mentioned including access, cost, and the ability to remix. Often neglected from the discussion is the data created and collected by learners when using online resources. Much in the same way Facebook, Google and Amazon have created business models by providing online resources and then monetizing the data, we should be aware the same model exists in education as well. This isn’t to say that all open content creators are ignorant of the importance of their data. EdX has made the improvement of online education a central part of their mission. However, we should all take this a step further. First we should very publicly guarantee the privacy of all data created by learners using our projects. Anonymized data will only be given to researchers in accordance with their institution’s research review process and will not be sold under any circumstance. Second, we should be open about the data we are collecting and encourage researchers in the field to make use of our datasets. Compared to many other open education resources, The Mixxer is rather small with between 30 and 40,000 active users per month. However, as a social networking site, I do collect significant data on each user to help them find potential language partners, including their native language(s), language(s) they are studying, and optionally their age and country of residence. Connected to this data is site activity including frequency of visits to the site, number of friend requests, and any writing each user has submitted along with corrections they have received or provided. This data can also be used to send targeted surveys to ask users about their language learning. To get a better idea of the type of data that can be collected, see my paper on FLTMag. I should also mention the kind of data that I cannot or will not provide. For most users, the exchanges themselves happen separately from site via Skype. While they can message each other on the site, I am not willing to provide the texts of these messages for privacy reasons, and they would not provide examples of negotiation of meaning seen in many research studies. I also do not have any reliable information on the level of proficiency of users in their target language. Potential surveys could ask about level of proficiency, but researchers would either need to rely on self-assessment of users or provide a means of assessment. Anyone interested in potentially using datasets from the Mixxer website or with questions about using the site as part of the course, please feel free to contact me. I can be reached on Twitter @bryantt. 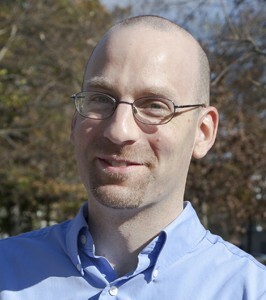 Todd Bryant is the liaison to the foreign language departments for the Academic Technology group at Dickinson College and an adjunct instructor of German. Todd created The Mixxer to help connect language students with native speakers. His interests include the immersive effect of games in service of foreign language learning, such as the use of World of Warcraft to teach German. Here at COERLL we value the use of technology in the language classroom. As open educators, we believe that educational materials and tools should be open. By “open”, we mean: easy to access, customizable, affordable for teachers and students, and created for the greater good of a community of educators. Unfortunately, educational technology and openness do not always go hand in hand. Openness involves tinkering and experimentation, but technology tools can be rigid in their functionality. Open educators share freely with peers, but technology tools often carry a copyright and may only be available to schools who can afford them. Ideally the flexibility of openness allows for more innovation, but some technology tools perpetuate outdated teaching methods, albeit in a more fancy and upgraded package. However, we do not like to advocate for or against specific tech tools, preferring to focus on general best practices for using technology to teach language. One of these best practices is researching technology tools before using them to ensure that the tool and its creator align with your pedagogical approach and teaching philosophy. Who owns the tool? What is the name of the company, the CEO? What are their politics? What does the tool say it does? What does it actually do? What data are we required to provide in order to use the tool (login, e-mail, birthdate, etc.)? What flexibility do we have to be anonymous, or to protect our data? Where is data housed; who owns the data? What are the implications for in-class use? Will others be able to use/copy/own our work there? How does this tool act or not act as a mediator for our pedagogies? Does the tool attempt to dictate our pedagogies? How is its design pedagogical? Or exactly not pedagogical? Does the tool offer a way that “learning can most deeply and intimately begin”? How accessible is the tool? For a blind student? For a hearing-impaired student? For a student with a learning disability? For introverts? For extroverts? Etc. What statements does the company make about accessibility? Next time you are considering a new tool, try weighing the pedagogical benefits with the above questions. The final choice lies with you, the teacher and ultimate expert. The above list of questions is excerpted from the article “A Guide for Resisting Edtech: the case against Turnitin“, written by Sean Michael Morris and Jesse Stommel, reviewed by Kris Shaffer and Robin Wharton, and published on Hybrid Pedagogy’s Digital Pedagogy Lab website under a Creative Commons Attribution-NonCommercial 4.0 International License. COERLL recently made the social reading tool eComma available for users of Learning Management Systems (LMS). In eComma, a group of students can annotate the same text together and share their annotations with each other in the form of comments, tags, and word clouds. Students’ natural capacity for socializing online is put to good use with social reading, as they learn from each other, uncover the multiple layers of meaning in a text, and reflect deeply on their reading. But how does a teacher set this process of learning and reflection in motion? Show how tenses convey meaning: Ask students to label verb tenses to bring their attention to the differences in how the tenses are used. These are only just a few ways of using eComma, and any of them could be done asynchronously as homework, or synchronously in the classroom, where students can see each other’s comments popping up in real time. We hope you will find a way of using eComma that works best for you and your language class! If you do, we’d love to hear about it in the comments below… your ideas could be valuable for other teachers. Instructions for installing eComma as an LTI (Learning Tools Interoperability) app in your LMS and adding it to an assignment or course content. From the editor: We recently heard from Bret Chernoff, an independent learner who has been using various Portuguese learning products on COERLL’s Brazilpod portal. Bret shows how a flexible language learner can use open educational resources (OER) to fit their needs and their abilities. How a learner or a teacher uses educational materials is just as important as the materials themselves! Here’s what Bret shared with us. Before Portuguese I had the classic “high school Spanish” experience, which taught grammar and test-taking well. I had two University of Washington (UW) quarters of Spanish and then began 8 years of Korean, beginning at the UW and then in South Korea. I am a C1 in Korean and a low A2 in Spanish. I started Portuguese in April 2014 with popular language programs such as Michel Thomas, Living Language and Assimil. My experience with Spanish facilitated the initial learning of grammar, and a very close Brazilian friend of mine helped with actualizing the grammar in conversations. In June I found Brazilpod – what a discovery! I jumped right into Tá Falado and beamed in on the pronunciation rules, first within the entire episode, and then isolating the dialogues and shadowing (more on shadowing) them in my car during my commute and on walks around my neighborhood, consciously focusing on the pronunciation highlighted in the episode. I then did the same with the Tá Falado grammar series. I achieved a Gestalt effect through this method, understanding the flow of the conversation without knowing every phrase or word by heart. By internalizing the melody and rhythm of how Brazilians speak I was able to have more spontaneous interactions with Brazilians I met in my daily life, because I was not thrown off by their cadence and intonation. This is a strong advantage of Brazilpod’s material – it is not hermetically sealed in a studio recording, but breathes with authenticity. I was also able to make inferences of meaning in conversations I would have without knowing all the words. Soon after, Língua da gente became my go-to listening practice during my commute. The commentary on the grammar alone demands multiple listens, and the dialogues are good slices of real Portuguese. I shadowed these as well during my commute and while walking around my neighborhood. I created a playlist of all the dialogues from the elementary and intermediate episodes and shadowed them routinely until I started to memorize them. By doing this I was able to imitate more accurately intonation and pronunciation, and words started to truly sink in. Nowadays I use ClicaBrasil to great effect, especially in tandem with a native speaker. Brazilpod has such a wealth of material and should be a true cornerstone of Portuguese self-study. That being said, study material can only take one so far, and the true magic of good study material shows itself with a native speaker. Friends like Cassio, Rodrigo, Vitor, Sanchaine, Junha, Pedro, Emmanuel, and my lifelong friend Alessandra, they brought to life the Portuguese language in my life. I can’t thank them enough for that. And I guess I can extend the same gratitude to Orlando, Vivian, and everyone at UT Austin for making high quality open-source material ripe for studying. Obrigadão! Bret Chernoff is an avid language learner and music artist. He is one of the principal songwriters in the Seattle band Colorworks. Some years ago, we found that our French majors here at NYU were not writing at the level we had hoped for. This led us to reexamine how we incorporated writing throughout our program. We decided to try Gammes d’écritures (CNDP fr), a French writing software program. Our students made amazing progress, and they truly enjoyed working with the software that allowed them to progress at their own rhythm. However, the texts and interface of this program were outdated. We felt its method of instruction could be modernized into a more comprehensive tutorial format. We also felt strongly that our program should be an open resource, not only because our language teachers had been benefiting from open resources for years and this was a way to “give back,” but also because we knew that our program could provide a model to our university (and others) of how open resource language programs can be inventive and engaging. At a time when numerous colleges and universities understand open education as merely the process of having lectures videotaped and delivered on line, we envisioned a course that fosters and channels analytical and independent thinking. This is how Papiers-Mâchés was born. Although Papiers-Mâchés uses simple tools, its consistent method of detailed annotations and suggestions is efficient for systematizing and extending the work conducted in the classroom. It provides personalized interactive instruction that challenges and encourages students at each step of the writing process – from questions of vocabulary choice and grammatical structure to elements of organization – until they are satisfied by their own response. We also seized another opportunity: having students collaborating with the material. All through the experimental phase of the program, numerous students of the advanced module offered their best work either as models to accompany certain activities, or as examples now displayed in the third section of the program. Similar to the “knowledge ecosystem” Jonathan Perkins envisions in the context of graduate studies (see Why Foreign Language Grad Programs Should Care About OER), this collaborative element is a fundamental feature of Papiers-Mâchés that allows students to take an active role in creating and perpetuating an online learning community. We are thrilled to join the OER community with Papiers-Mâchés. We hope that our program will prove to be an exciting addition to upper-intermediate and advanced level French courses. Since it lends itself for both in-class use and individualized homework, teachers will find a variety of ways to incorporate it into their lessons. Sign up online and try it with your students, adapt it for your classroom, envision it for another language and send us your suggestions so we can continue to make it a better program that serves the needs of the OER community. Today more than ever, facilitating the acquisition of languages other than English will help diversify the linguistic landscape of online education, open the horizon to a greater variety of resources and thus reduce the danger of the imposition of one global language and culture. Aline Baehler, Senior Language Lecturer, Department of French, NYU. Major Interests: 20th-Century French Literature; second-language acquisition; computer-assisted language learning. Co-creator of Papiers-Mâchés. John Moran, Clinical Associate Professor of French; Director of Undergraduate Studies & Director of Language Programs, Department of French, NYU. Major Interests: Foreign language methodology and pedagogy; historical linguistics; Old French language and literature; phonetics. Co-creator of Papiers-Mâchés. 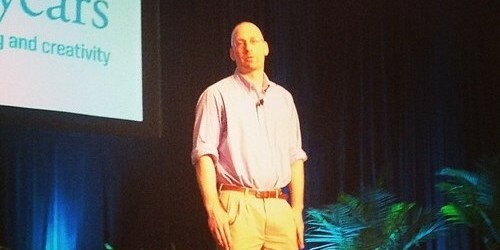 Check out Todd’s presentation at the New Media Consortium (NMC) summer conference. You’ll see that Todd has utilized a variety of open online language learning materials, including some of COERLL’s Spanish and German materials, to create a whole new open resource. This is what remixing and reusing is all about: fueling innovation and ideas to keep creating new learning resources for the public.